I work with this polygon and try to find a way to create a new polygon from the empty gap (not distinguish it) in the middle of the polygon. I succeed to do it with a "difference" tool- but used with another layer on the polygon and then using the difference tool. I can also digitize the shape of the hole and create a new layer- i seeking an automated way to do it and not doing in manually. 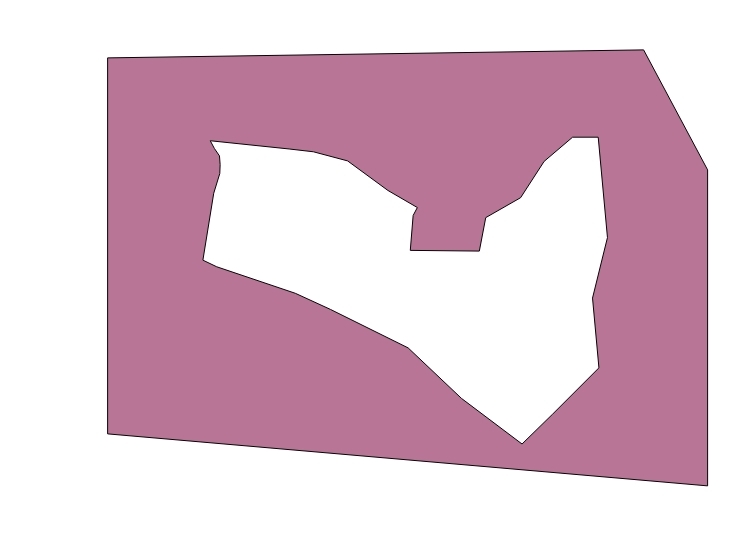 Is it possible to do it with a direct tool in QGIS 2.18.1, without aid of another layer? I recommend Digitizing Tools plugin. Once installed, you will find a new toolbar. The eighth from the left of this toolbar, there is an icon called Fill ring with a new feature (interactive). Switch to Fill all rings in selected polygons with new feature mode by clicking on a small triangle (right-hand-side). Start editing mode and select polygons you want to work on (you can select all polygons). A small dialog box will appear and asks you to give a new attribute value. This value will be given all fillings, so that it helps you to identify these new features in the attribute table. Hit [OK] to close. 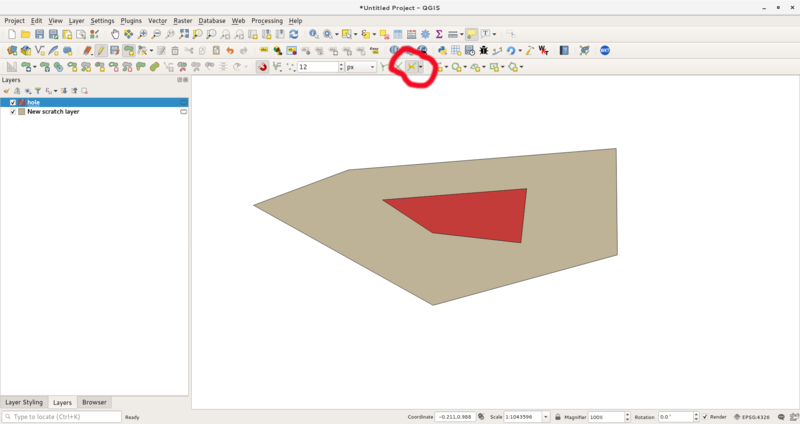 You can use the trace tool (on the Snapping Toolbar) and simply trace around the hole in the polygon while creating a new feature in a new layer (or your existing layer). Not the answer you're looking for? Browse other questions tagged polygon qgis-2.18 create holes or ask your own question.